Why did I give it a try: I heard rave reviews on the Bookrageous podcast (http://bookrageous.tumblr.com) and the Books on the Nightstand podcast (http://booksonthenightstand.com/). Plus, the bookseller in the Fountain overheard me mention something about the book and promptly placed it in my hand and told me that I absolutely had to read it. Who can say no to a good handsell? I wish that the whole journal would be published as a separate work. I would buy it. And give it as presents to everyone I love. And then sit in a corner and cry with jealousy that I didn't come up with this device. I feel constrained from giving my full thoughts, simply because I don't want to spoiler anything in the book. 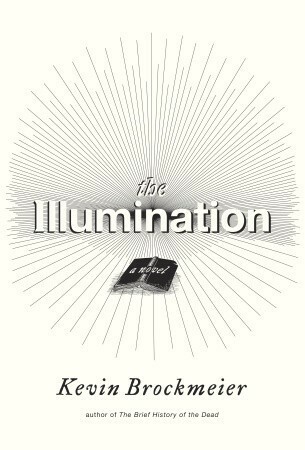 It's not that it's a particularly plot driven book - on the contrary, it's rare to see a book with such a fantastical situation that relies so little on that conceit. Rather, this is a book of small character studies, with the characters dealing simultaneously with this overwhelming artifact of love and the inability for them to hide their own pain from others. I have to say that I find the first 4 novellas much stronger than the last 2 in the book. Also, there are a couple of lazy plot points, but I won't hold them against Mr. Brockmeier too much because as I said, the plot isn't really the main show. The main show is the prose and the amazingly well drawn characters. Overall, this book left me sad and reflective, in the best possible way. 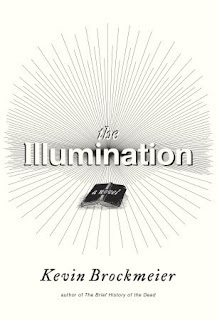 How would you rate The Illumination? Two more 2011 books to go!